#650: Hello ... Hello ... my old friends ... It's great to see you once again! 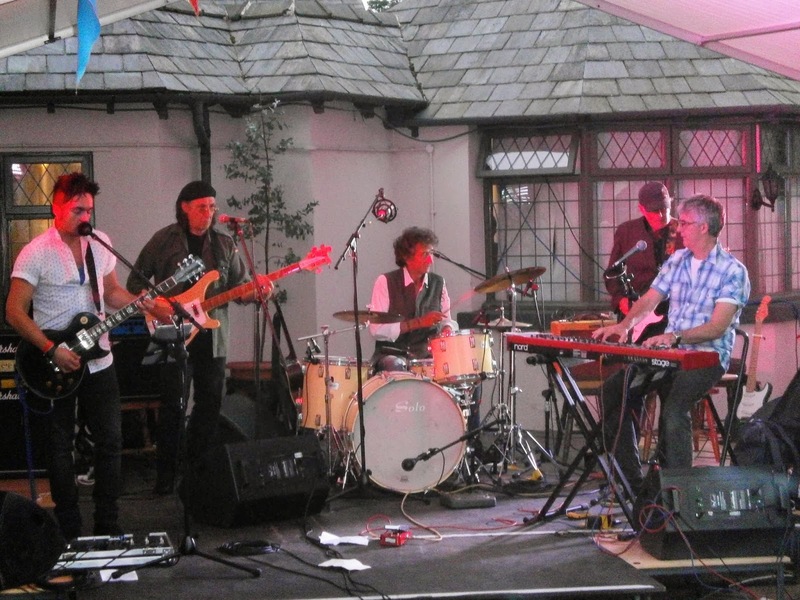 Back in June 2013, you may recall that Yours Truly KJS had the great pleasure of seeing the legendary Mike Kellie and his band The Hidden play one of their first live gigs at the Bridge Inn Beer & Blues Festival in Brewood. I was introduced to The Hidden beforehand by Tony Kelsey [Bev Bevan's Move] and it has to be said that their set at Brewood was indeed impressive and accomplished. "Music From The Hidden"  finally landed here at ELOBF this week and their ten track debut release has been well worth the wait. Featuring guest contributions by Steve Winwood, Steve Gibbons, Gordon Jackson and former Move [live], ELO and Wizzard member Bill Hunt, "Music From The Hidden" is an album largely composed by Mike Kellie [with exception of a cover of Bob Dylan's "Saved"] and full of musical variance, replete with lyrics with a Christian theme and classy, polished production throughout. The album opens with "Remember My Name", the only track featuring Greg Platt Lake on lead vocals, heavily underpinned by Steve Winwood's bass and organ with a real Santana feel to it throughout. The remaining tracks are sung by Mike himself adding a kind of Cohn, Rea and Dylanesque vocal flavour to the piece. Bill Hunt's tinkering piano on "Precarious" impresses as does the slide guitar of: Tony Kelsey on "Mankind On The Run" and his guitar craft on "I'm Free", "The Fullness Of Time" and rock 'n' roller "Horizon" [which has a real Beatles feel to it]. Buy "Music From The Hidden"
ELO Beatles Forever [ELOBF] recommends "Music From The Hidden" by Mike Kellie to those enlightened folks who enjoy the music of ELO, Jeff Lynne, Roy Wood, The Move, The Idle Race, 'Brum Beat', The Beatles and related artistes.